Macpherson Mall is a new Shining star at 401 Macpherson Road Singapore. Your Dream Home Our Commitment. 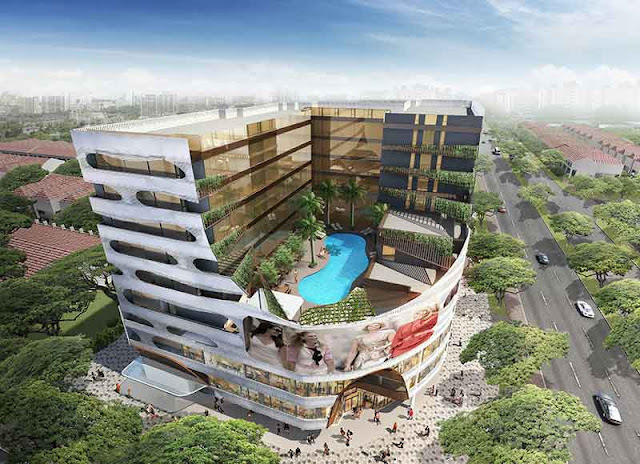 Macpherson Mall is a freehold combined development with 301 Hotel rooms and 86 Commercial Units on 401 Macpherson Road former Hotel Windsor, cross junction between Aljunied road and Macpherson Road. With 86 commercial units this unique development gives a rare yet outstanding opportunity for business owners and investors, experiencing a life with an excellent treatment in every place at Macpherson Mall. Travelling is like a breeze in the air which will make you feel calm and comfortable because Macpherson Mall is located and very well connected in every major roads and expressway just like the Macpherson Road, Aljunied Road, Pan Island Expressway (PIE), Central Expressway (CTE) and Kallang Paya Lebar Expressway (KPE). MRT stations are also nearby like the Woodleigh MRT, Tai Seng MRT, Paya Lebar MRT and Aljunied MRT Station. Plunge yourself in a worldwide experience where many good things and activities can happen here, swing from one shop to another, an amazing table while dining in with family and friends and begin a conversation, or simply just have a nice light walk with a delightful view in every place to make you feel better making your day brighter. Head to http://www.macphersonmall.com/ for more information / floor plans. Today, there have been 11 visitors (161 hits) on this page!